1. What is Hausa bridal makeup? The preparation for the wedding includes many important steps, and makeup is one of the most essential ones. Hausa traditional makeup is a popular choice for Nigerian beauties who want to achieve a striking look for their wedding night. Find out everything you need to know about Hausa wedding makeup! Hausa is a rich Nigerian culture that has traditions that spans over centuries, and Hausa traditional wedding is among their most remarkable parts of the heritage. Of course, Hausa brides prefer to flaunt their authentic look on their weddings with the help of Hausa makeup. Hausa bridal makeup before and after you see, it’s clear that even though the brides look gorgeous before applying the makeup, traditional Hausa bridal makeup takes their look to the next level! 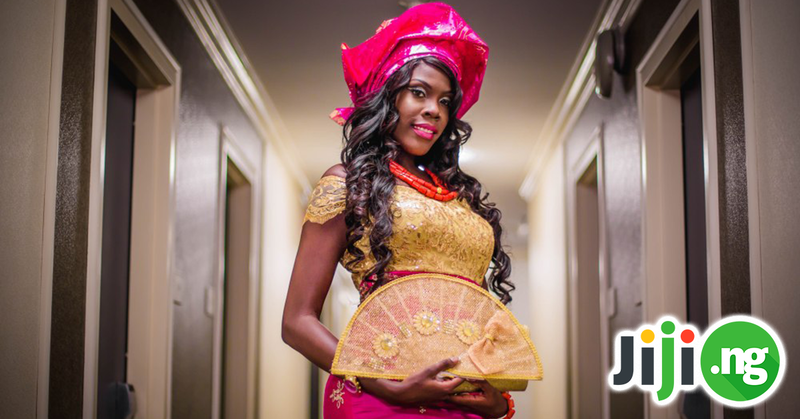 Looking for beauty inspiration for your traditional Hausa wedding? Here are some of the prettiest Hausa Nigerian bridal makeup looks that will help you decide what exactly you want to look like on your big day! The first bride went for classic natural makeup for her wedding, but in order to keep things more interesting, she added gold accents and made extra effort to make her skin look flawless. The next Hausa bride decided to pick cool tones for her makeup to go with her royal blue dress, gele, and jewelry. The cool pink ombre lip is a perfect trendy touch! Sea green is a very popular colour among Nigerian brides, and, as a bright and daring shade, it requires strong makeup. This bride put accents both on her eyes and lips with gorgeous eyeliner and matte lipstick. Gold and blue are a classic pairing in women’s fashion, and picking blue eyeshadow to complement the gold gele is definitely a smart move, as is keeping of lip makeup fairly neutral not to overshadow the eyes. Another example of cool-toned wedding makeup that looks perfectly with the complexion of Nigerian girls is the bridal look of the next Hausa beauty in a lovely delicate pink dress. Hausa brides are no strangers to traditional white weddings, but even then they prefer to add some authentic touches to their wedding looks – for example, keeping the makeup understated and highlighting the beautiful henna. The next Hausa bride went for a much more dramatic look, which ideally matches her dark chocolate gele. Every part of this makeup look works great on its own, and together it’s a truly magical combination. Keeping the whole Hausa wedding look monochrome is undoubtedly a bold move, but in the case of this bride it definitely paid off. The cool pink tones of the look will inspire even more brides to try it. 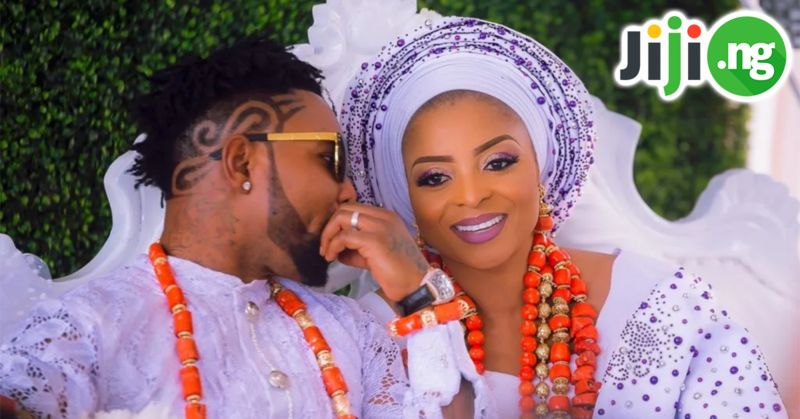 If you want to keep your Hausa makeup look as elegant as possible while still appearing gorgeous on your wedding day, make just one accent – for example, take an cue from this bride and put the emphasis on the lips! Another dramatic look and another winner! The dress and makeup of this Hausa bride instantly attracts attention and we simply love the edgy purple ombre lips paired with the dark plum eyeshadow! If you’re planning your wedding and want to look your best, here is a tutorial with steps on how to make up in Nigeria that will help you achieve your perfect look and be the most stunning bride Nigeria has ever seen! FACE Zaron Face Primer Zaron Health Glow Foundation (Z25, Z20) Mac conceal and correct palette (Dark) Switch Cosmetics Powder Palette Mac Studio Fix NC45 L.A Girl HD concealer Cool Tan & Pure Beige Becca opal Highlighter Nars blush in Crazed Laurer Mercier Transluscent loose powder Zaron Fixing spray EYES Mac Paint Pot Mabrook Khol Eyeliner Zaron Mascara Mac conceal and correct palette in dark.